to this list or include another event in the cultural calendar. It is one of the concert halls with best acoustics worldwide! 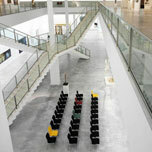 One of the building's peculiarities is that the orchestra is located in the centre, surrounded by the audience. Another reason to visit the phlhHier sind also zwei von vielen anderen Gründen, warum Sie während Ihres Besuchs in Berlin die Philharmonie genießen sollten. Sie wurde zwischen 1960 und 1963 von Hans Scharoun entworfen, der der Architekt des Wiederaufbaus von Berlin in der Nachkriegszeit war. The Berlin philharmonic orchestra became very famous under the direction of Herbert von Karajan, who was the head of the orchestra from 1955 until his death in 1989. The currant musical director is Sir Simon Rattle ist gegenwärtig der Orchesterchef. Tickets for important concerts available only one or two months in advance. You should book as soon as possible. In 1741 Knobelsdorff, architect and friend of King Frederick the Great, build the opera house "under the lime trees" according to the wishes of the enlightened monarch and lover of the arts. Actually it was the first musical theatre ever to be built outside a palace. 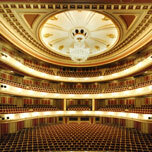 The opera, currently directed by Daniel Barenboim, still has an excellent international reputation and, in the 2004 ranking of a specialist magazine, won the awards for the best orchestra and best choir. 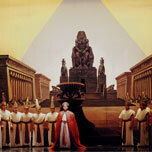 Operas are performed in the original language, with subtitles in German. Tickets available already from € 7. Have a look at the current programme online to get more detailed information about concerts and other musical events taking place at Staatsoper Unter den Linden. As a consequences of the partition of the city, Berlin possessed three opera houses and two ballet companies, a big financial burden for the endebted city. Acclaimed by the Berlin public, in 2005 the National Ballet was founded, with the famous dancer Vladimir Malakhow (see photo, in the purple dress) taking over the direction. Thanks to o rganisational restucturing, today the ballet offers an ample programme cooperating, at the same time, with both the National Opera and the German Opera. Tickets can be booked online. The impressive museum building was erected accordings to the plans by Martin Gropius and Heino Schmieden in renaissance design as a crafts Museum. Besides, it housed several other collections until it was seriously damaged by bombs in the last weeks of WWII. Only in 1966 it was listed as a monument worthy of preservation and in 1978 reconstructions works started, carried out respectfully by the architects Winnetou Kampmann and Ute Weström. Then the building was named after Martin Gropius, a great-uncle of Bauhaus founder Walter Gropius who had long since called for the museum's reconstruction. 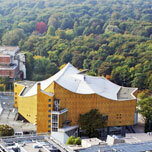 Today Martin-Gropius-Building is one of the most famous and beautiful exhibition spaces in Germany. 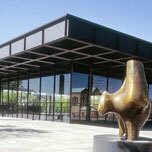 It offers an adequate setting for international exhibitions of any kind. Architects Hillmer & Sattler were in charge of another refurbishment that took place in 1999/2000: Air-conditioning was installed and the Northern entrance, that had faced the Wall during 29 years, was restored as the main entrance. 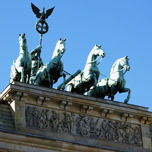 The Berlin Art Gallery is one the city's youngest museums: it started as an association in 1975 and was inaugurated at its present location in October 2004. 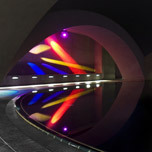 The foundation and the museum want to be open for everybody, focussing on modern and contemporary art, from 1870 onwards. The collections includes photography and architecture, the city of Berlin being the topical focus as well as promotor of the museum and source of its objects. 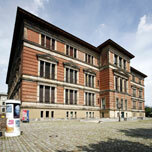 The German Historical Museum is distributed on two buildings. Since June 2006 in the Baroque arsenal, constructed in 1705, the permanent exhibition with the title "German history in images and testimonials from two millenia" is shown. Since 1968, this “temple of glass and light”, designed by Bauhaus master Mies van der Rohe and surrounded by sculptures like Henry Moore’s “Archer”, is dedicated to modern art. The exhibition comprises works of 20 th century painters like Kirchner, Klee, Dix, Dalí, Miró and others, taking the visitor on a trip through the history of classical modern art: German expressionism, cubism, surrealism, etc. There is also a sculpture garden visitors can enter on request. 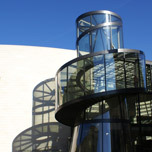 The huge lower-ground floor is partly dedicated to the permanent collection, partly to the museum’s temporary exhibitions that have gained international fame. We have redesigned our Events 2019 page hoping that the new version will make it easier for you to plan the activities for you next stay in Berlin. It includes more events, which are presented in topical groups according to the 12 months of the year. We also propose activities for each month. Besides, there are interesting links for those who want to dig further in the passionate past and present of the city.